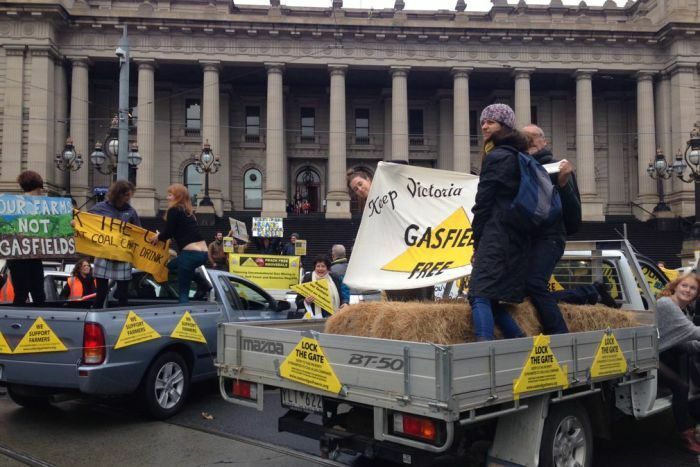 Victoria will be the first first state in Australia to ban #fracking. Victoria will become the first state in Australia to permanently ban fracking, after the Opposition party room agreed to support legislation introduced by the Andrews Government. The bill, to be debated in Parliament tomorrow, will also extend a moratorium on conventional onshore gas exploration in Victoria until 2020. The Coalition's support for the legislation is at odds with Prime Minister Malcolm Turnbull, who has criticised the Andrews Labor Government for implementing "an effective ban on gas exploration onshore in Victoria". The Federal Energy Minister Josh Frydenberg has also warned against "blanket statewide moratoriums and bans", amid growing concerns about rising gas prices and supply constraints on Australia's east coast. Fracking is used to extract so-called unconventional gases such as coal seam, tight and shale gas by pumping high-pressure water and chemicals into rock, fracturing it to release trapped gases. The process has been opposed by farmers and environmentalists due to fears the chemicals could contaminate groundwater supplies and threaten agricultural industries. Onshore conventional gas can be extracted without using the fracking process. The ABC understands that while Liberal and National MPs will vote in favour of the Government bill, the Coalition will explore options for allowing the conventional gas moratorium to be lifted after 2020. 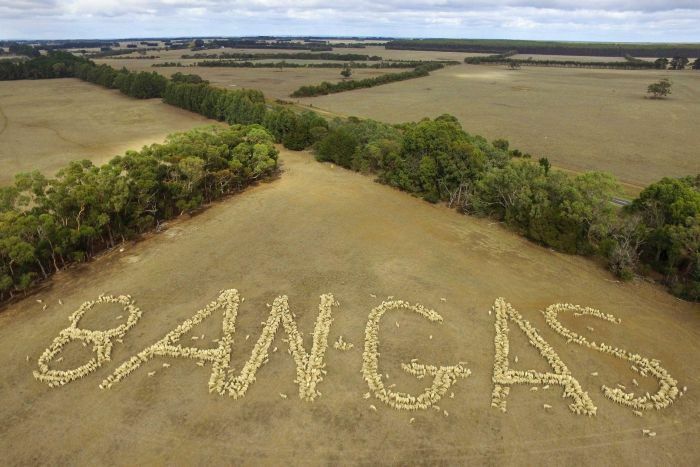 Details are yet to be finalised but Coalition sources said there would need to be consultation with landholders, and a consideration of appropriate regulatory frameworks and safeguards, ahead of the 2018 election. The Grattan Institute's Energy Program Director, Tony Wood, said he understood the public support for a ban on fracking. "But it just seems to make absolutely no sense to me as to why we'd have a moratorium on conventional gas," he said. "There is a big question as to how much [conventional onshore] gas there really is to be found in Victoria anyway ... [but] as a matter of public policy it's a very bad idea." The Australian Petroleum Production and Exploration Association has called on the Government to immediately lift the moratorium. Victorian Farmers Federation President David Jochinke supports the Government's legislation, and argued against lifting the moratorium with the aim of increasing gas supply. "I would want to make sure that you're not completely devastating a whole agricultural industry on the sake of potentially exploring for gas in areas that we traditionally haven't been before," he said.